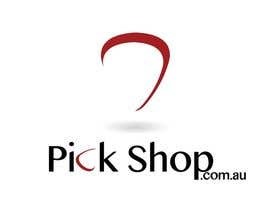 We are an online store specialising in guitar picks. Big picks, small picks, thick picks, thin picks. Collectable picks, normal picks, we have them all. We just stock guitar picks. Or plectrums if you're fancy! We're looking for a fun logo that we can use to build our site design around. I have no idea what we're after so feel free to let your imaginations go wild. I'll check in every day and rate all entries, as well as provide feedback on the public board to all who request it. If the logo has an aspect that we can use as the favicon, apple image etc that would be ideal. Sorry it took a while. You made it to the last few. It's so hard picking a winner. I was glad to have other people to help me out. Thanks for your submissions. Thank you everyone for your entries. I needed to change my freelancer email because I would be checking the entries when I saw them on my phone in the middle of the night. I am constantly amazed by the originality and quality of the submissions. I really hate this part, having to choose just one person. There are so many deserving entries. It honestly hurts me to hit reject, especially as we get closer to the end. So everyone know what I'll be doing now... I'll be getting together with my wife/business partner (when the kids allow) to look over them all and narrow it down further, then we'll bring in a few friends for their input as we select a winner. Often we'll reconsider previously rejected entries if we like one of your remaining entries. Sometimes something I wasn't so keen on ends up being selected because I am out voted! Thank you again for your creativity and for putting it all out there in this contest. I really appreciate and wish you all the best of luck. It's nice, but doesn't excite me. Thanks for it though. Very interesting design. Nice work, however I like others better. Sorry. Thanks, but it's a design that already been submitted and lifted from elsewhere. Sorry, I wrote a big reply last night but then something happened and it didn't post. #112 is my favorite, although I like them all. However I think that it's a bit busy with the guitar behind the logo. I'll reply to all above. Very nice. I really like it. Thank you. You're making my life very hard here! Another great design. Thank you. I like what you've done, but I prefer some other submissions. Sorry. could you check #104, please? Nice work. Very interesting font. Thanks everyone for the great submissions so far. I've culled it down to 16 remaining. If I got rid of some of yours I'm sorry. I hate this part. It doesn't mean the submission wasn't great, just that it didn't capture the feeling we're going for. Thank you for your understanding. please review #78 , #79, #80, #81 and #83 added with some correction and Changes. Relly nice work. #83 I think the text is a little bold. #81 the font is really cool. But not what we're going for. #79 and #80 are good, but i think I like the earlier version with the picks slightly overlapping better. #78 is totally different to your others. I think I quite like it. Hey there, added two variations on my #26 submission, your input is welcomed for #85 and #86. Thanks. I love the outlines on #86. I would never have through of that but it's great. I think I like it better than #85. I like the colours of #26 better than #85. Great work. Thank you. Please check #89 #90 #91 Here I have used some special fonts which can increase logo beautification. Wow! I love the fonts. #90 is my least favorite. I love both the others, can't choose a favorite. Hi again, #42, #43, #48, #50 and #52 are my logo designs. If you like any of them and want them to be modified, do let me know. Cheers! Hi again saipra, my comments for #42 are below. Of these others my favorite is #50. The texture of #52 is nice. #48 I found a little busy with the shadows and rainbow (some people love rainbows, unfortunately I'm not one of them) #43 is my second favorite of your submissions. It's easy to read and nice and warm. Thank you. Sorry it took me a while to go through and provide ratings and feedback everyone. The weekend got busier than I expected! If I missed any private messages please let me know and I'll respond asap.